For companies that desire a fast route to wireless product developments, the Koala® Connect modules are a compact option for adding Wi-Fi® and / or Bluetooth® to new and existing projects. When used in conjunction with Koala® EVM, the Koala® Connect modules provides a stable environment to ease the integration of wireless technology into a project. 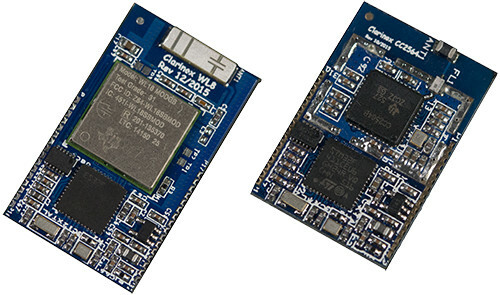 Each module features a single onboard processor to drive the user application in addition to multiple wireless protocols. Flexibility of wireless technology choice is provided with Bluetooth, Bluetooth Low Energy, Wi-Fi Direct and IEE802.11b/g/n standards supported. 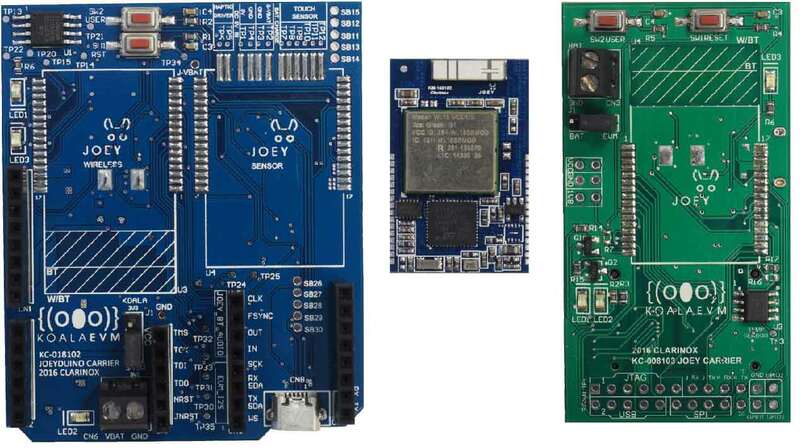 The Koala EVM and wireless module family will help shorten development time, reduce development costs, and open the door to new possibilities for wireless device features. 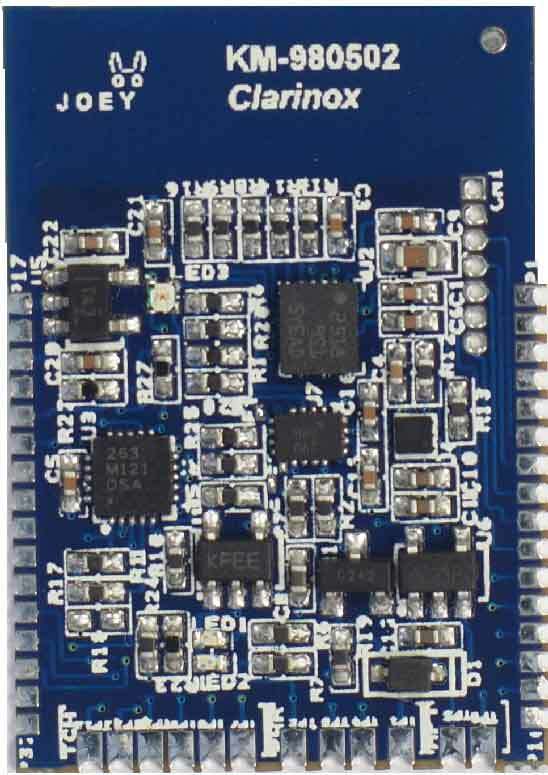 Use directly with final design or prototype with the Clarinox carrier board.